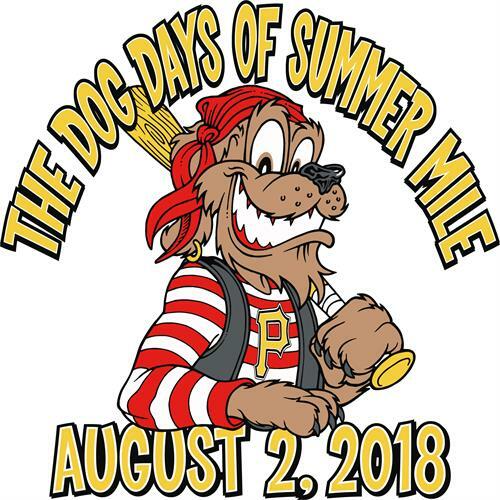 The Bristol Pirates and We Run Events are excited to announce the 1st annual Dog Days of Summer Mile. All proceeds from the event will benefit the new Pet Shelter Support Trailer for Bristol Virginia Emergency Management, a division of the Bristol Virginia Fire Department. The Pet Shelter Support Trailer can be used in the event of a disaster or situation in which emergency sheltering is required and can be taken anywhere in the region. The trailer will be used to house pet emergency preparedness supplies such as crates, food, water bowls, pet first aid materials, litter boxes, litter, cleaning supplies, etc. The Pet Sheltering Trailer will be a huge asset to the region and ensure peace of mind for pet owners during an evacuation situation. The 1 mile event (open to people and their pets on leashes) will take place on Thursday, August 2 at 6 p.m. at Boyce Cox Field. Participants will finish on the Pirates field by running across home plate. Participants will then be welcome to stick around for the ballgame and enjoy Bark in the Ballpark with their best furry friend. Yes, pets will be welcome to stay for the game! The run/walk will feature cooling stations every .25 miles and at the finish. The event is open to humans and human/animal teams. Runners and walkers are welcome. The mile will be part of the State of Franklin Track Club adult and kids mile series. All participants will receive a t-shirt imprinted with sponsor logos on the back as well as an entry into the ballgame. Awards will be given to overall, age group, and top 10 human/animal teams. To register please go to https://www.athlinks.com/event/dog-days-of-summer-mile-240011 and please share.